OCG objects expose various properties and methods that allow us to control the layers to a certain extent. One method of interest is the setIntent method. This method is used to set the OCG intent array. setIntent is implemented inside Escript.api, which is located inside the plug-ins folder in Acrobat. I won’t dig into how to locate setIntent in Escript in this blog -- we’ll cover that in a future MindshaRE blog. They wanted to make sure that the size is not exactly 0x7FFFFFFF. Obviously, this was an inadequate response because that’s not the only value that triggers the bugs. It’s amazing how huge the attack surface is for Adobe Acrobat. It’s also amazing to think how many systems have Acrobat installed. 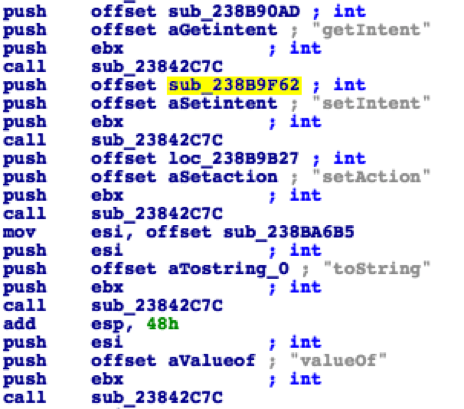 What makes it even more interesting is the lack of advanced mitigations, which makes it relatively easier to target than other applications. Add to that some less than proper patching, and it’s easy to see why it remains a popular target for researchers. When compared to some other vendors, there’s still a long way for Acrobat to catch up with the modern mitigation game, and we’ll be watching their improvements closely. Until then, Acrobat will likely remain an attractive target for bug hunters. You can find me on Twitter at @AbdHariri and follow the team for the latest in exploit techniques and security patches.